Norman Harvey was born on 6 April 1899 and was from Newton-le-Willows, Lancashire, England. 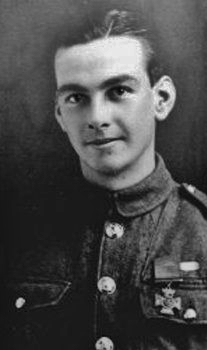 He was aged 19, and a Private in the 1st Battalion The Royal Inniskilling Fusiliers when he was awarded the Victoria Cross for his actions on 25 October 1918 at Ingoyghem, Belgium. He re-enlisted into the Army in 1939 and joined 199 Railway Workshop Company of The Royal Engineers. During the Second World War, he achieved promotions to become a Senior Non-Commissioned Officer, and in April 1941 he was appointed as a Company Quartermaster-Sergeant. Unfortunately, he was killed the following year near Haifa, Palestine on 16 Feb 1942. He is buried in the Commonwealth War Graves Commission's Khayat Beach War Cemetery in Israel and his grave reference there is A.A.4. reconnaissance and gained valuable information.